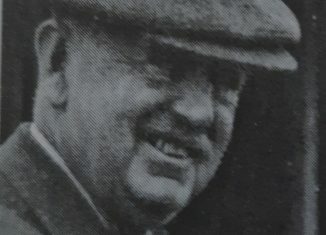 He became a director of Southport Football Club in December 19211 and was immediately elected Chairman. He brought acumen and business knowledge to the boardroom and remained Chairman until his death on May 3rd 1931, aged 79. A keen sportsman, he was a Vice-President of Southport & Birkdale Cricket Club and a member of the West Lancashire Yacht Club. Following his death there was a touching and impressive tribute at Southport’s home game with Hartlepools United. Both sets of players lined up in the centre of the field together with the directors, Secretary-Managets and match officials to sing ‘Abide with Me’ .